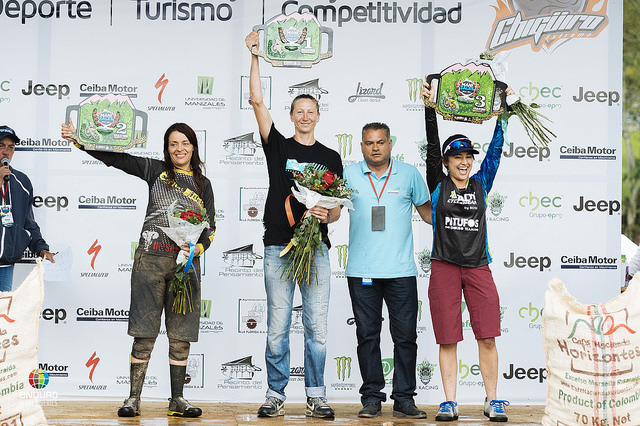 The Enduro World Series in Manizales, Colombia was definately one to remember for some racers, and one to forget for others! 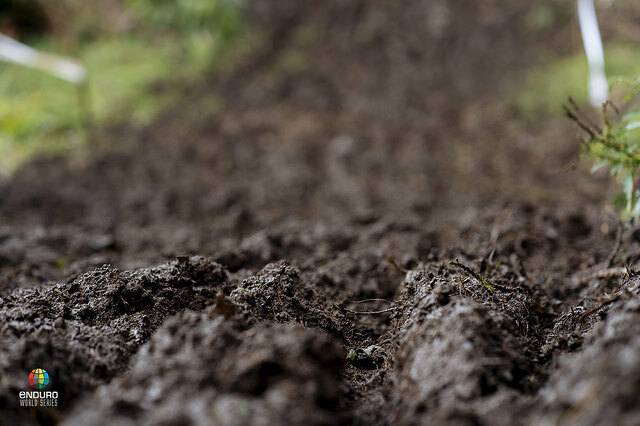 With a heavy dousing of rain, the jungle handed the racers exactly the opposite conditions to the first round in Chile. Mops on the top step! Keep it up you good thing! For the Kiwis, Melissa (Mops) Newell of Wanaka once again took top step in the Masters Women Category! That's 2 for 2 so far in the series and solidifying her lead in the Overall. Good on ya Mops!!! Unfortunately Rae Morrison had a nasty crash on stage 2 and resulted in her not able to continue on. For the Under 21 Women, Emma Bateup placed a respecable 5th place. On the Men's U21 - 3 Kiwis ended up in the top 10 with Cole Lucas in 4th, Daniel Self in 8th and John Richardson in 10th. Masters Men saw Brendan Clarke in 14th as the sole New Zealander competing in that category. 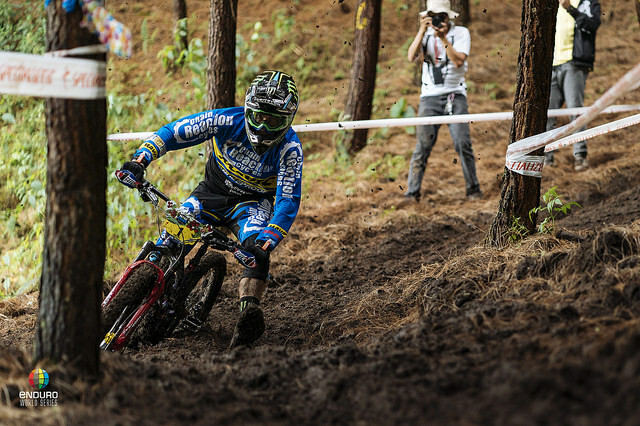 In the Open Men, The Spirit of Enduro -Eddie Masters, was the top placing Kiwi only 1 place out of the top 10! The other half of the Masters brotherhood Wyn, landed in 25th. After that we had our first privateer Joe Nation in 37th, Matt Walker in 46th, darkhorse privateer and EWS rookie Charles Murray in 48th, Keegan Wright in 50th, Sam Shaw in 66th, Loui Harvey in 90th, Jake Paddon in 104th, and John Butler the final Kiwi in 149th.